Active imagination is a technique or method devised by C.G. Jung, to engage, interpret, and integrate fantasy-images and other subliminal contents that arise from the unconscious. Jung originally referred to the method as spontaneous fantasy or non-directed thinking. Jung (1928) suggested that the method was “a question of releasing unconscious processes and letting them come into the conscious mind in the form of fantasies” (CW7, para. 342). In late 1913, Jung began to experiment with this process through visualization techniques. He imagined digging a hole and described this process of visualization in his Seminar on Analytical Psychology Given in 1925. Thus, Jung was putting active imaginations on par with dreams. The central difference between active imaginations and dreams is that the individual has greater control with the former because they are exercised during a waking state. Although often undervalued, active imagination is an effective tool that anybody can use to further assimilate and understand his or her own unconscious contents. 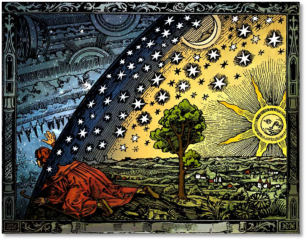 Jung further pointed out that there were a number of ways that one could do active imagination depending on the individual and his or her own psychic constitution. For some people painting may serve as an adequate way to engage their unconscious whereas for others writing may work best. It really just depends on the person. Lastly, one of the most important features of active imaginations is the way they apparently demonstrate that psychic images can have a life of their own, which accords with Jung’s hypothesis of psychic objectivity. Active imagination was first introduced by Jung as alternatively non-directed thinking and spontaneous fantasy. The purpose of active imagination is to engage, interpret, and integrate fantasy-images and other subliminal contents that arise from the unconscious. Jung first extensively employed his active imagination technique to engage inner fantasy figures in 1913, which is described at length in The Red Book. Another term for fantasy-images are libido analogues. In some cases, fantasy images could be thought to have a life, albeit a provisional one, of their own. Jung, C.G. (1928). The technique of differentiation between the ego and figures of the unconscious. In: R. F. C. Hull (Trans.) & H. Read, M. Fordham, G. Adler, W. McGuire (Eds. ), The collected works of C. G. Jung (Vol. 7). Princeton, NJ: Princeton University Press. Are you saying that à la Jung’s psychological theory, that there are subliminal personalities that live within our psyche? That doesn’t sound very empirical. In fact, it sounds more like a throw back to the middle ages. Don’t get me wrong, I understand the psychological argument but find it rather far-reaching. Hey brother, never mind Eric. I follow what Jung is saying and find that fascinating. In fact, it makes a lot of sense to me. Good blog. Keep em’ coming! Bill, Thank you. I appreciate your vote of confidence. I am glad you enjoyed the blog. Take care. I researched all of your references. It all lines up I imagine. I have not read The Red Book yet, but from what I hear it’s rife with active imaginations. Is it all based on Jung’s fantasies? Hi Jackson, thank you for the post and I’ll try to answer your question. 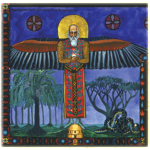 The Red Book is largely based on Jung’s fantasies and some dreams, however, if you read it closely one realizes that it largely mirrors not only Jung’s personal confrontation with what he calls the unconscious, but it mirrors what’s going on at the time and Europe and other parts of the world. When Jung had his initially fantasy he thought he may be lose a screw (Jung as a clinician well understood the symptoms of schizophrenia and psychosis) however, when WWI broke out in late July 1914 he realized that he was not going crazy but had simply tapped into some part of the collective psyche. Well, for what it is worth. I liked the blog. I have already read The Red Book, however, I still don’t really get what Jung was saying. Thank you. Sherry, thank you for your comments, I appreciate you advancing the dialogue along. The Red Book can be difficult to follow in some areas, however, I’d encourage you to keep on reading, no matter how bad it hurts your head. You’ll get there.